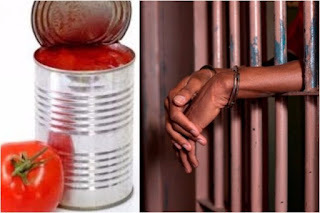 Reports making the rounds in Edo State have it that a 32-year old man identified as Austine Ibe was Friday jailed for two years after he was found guilty of stealing 75 cartons of tin tomatoes valued at N315,600 (about $877). Presiding Magistrate of the court sitting in Oredo, F.E Akhere, handing down the verdict said the prosecuting Counsel, Patrick Agbonifo was able to prove beyond reasonable doubts that the convict was guilty of the charges preferred against him. Ibe, who was sentenced without an option of fine, was said to have committed the offence on October 14, 2017, at No. 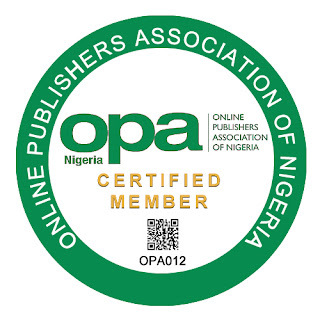 4 Butcher Street, off Forestry Road, Benin City, Edo State. Agbonifo, had earlier informed the court that the offences were punishable under sections 414(1) and 390(9) of the Criminal Code 48 Vol II Laws of the defunct Bendel State of Nigeria, 1976 now applicable in Edo State.